SAP had another remarkable year in 2014, as stated in its most recent annual integrated report. Thanks to a booming cloud computing business, the company’s revenues were over €17.5 billion (US$19.3 billion) last year, a respectable 4 percent increase over the previous year’s numbers in what is a hyper-competitive market. But SAP continues to excel in its social and sustainability performance as well. Leveraging its software engineering capacities across the globe, SAP has worked on many social enterprise projects in places as diverse as Brazil and South Africa. The company boasts the business community’s largest commitment to hiring workers on the autism spectrum, as well as setting diversity goals for this decade. 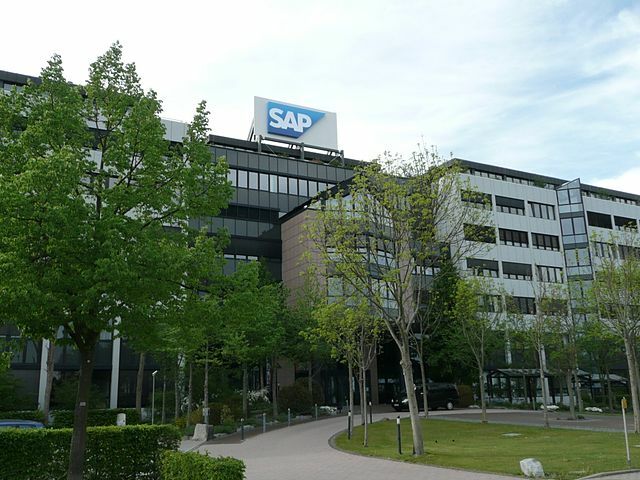 The latest integrated report both tracks SAP’s longstanding initiatives as well as new programs the company says will make it both an attractive workplace and a strong company in the coming years. On the environmental front, SAP continues to become more efficient. The company’s total energy consumption had a slight uptick, but that should not be surprising considering its workforce grew by 12 percent last year. However, greenhouse gas emissions declined, as did the amount of energy consumed per employee. SAP not only uses clean energy for all of its data centers’ needs, but it also uses renewables for 100 percent of its total electricity consumption — though that last data point is possible because of the company’s purchase of Renewable Energy Certificates (RECs). SAP’s social performance continues to impress as well. In its home country of Germany, as well as its largest market, the U.S. — and in many nations across the world — SAP has won many awards for being a “Great Place to Work.” Part of that reputation is from its ambitious inclusion policies. While the tech industry in Silicon Valley and beyond continues to suffer from a reputation that its leadership and workforce is less diverse than imagined, SAP has a program to increase the number of women within its management ranks to 25 percent by 2017. LGBT employees are also part of this culture of inclusion, and the company regularly holds forums that bring together managers and employees, in person and via the cloud, to discuss how the company can continue to groom new leaders and retain talent. The company’s social performance extends outward from its campuses and into communities across the world. Last year SAP expanded its Social Sabbatical program, which sends high-performing employees across the world to work with NGOs and entrepreneurs on social enterprise projects. In Brazil, the company has partnered with Emprego Ligado, a social enterprise that operates an online job site tailored to the country’s working class. And in New York City, SAP is working with a six-year public high school, BTECH, which offers a specialized business and technology curriculum for students looking to enter the IT field. Anyone who wants to implement an aggressive corporate social responsibility program at his or her company should look to SAP as a model. The company uses its best assets -- technology and people -- to be a force for good. With 1,100 nonprofits benefiting from its technology donations and 188,000 employee volunteering hours in 47 countries, SAP proves that a multinational company can still be community oriented at the most micro of levels.